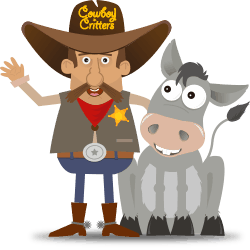 Cowboy Critters Petting Zoo is the ultimate in “Live” entertainment! 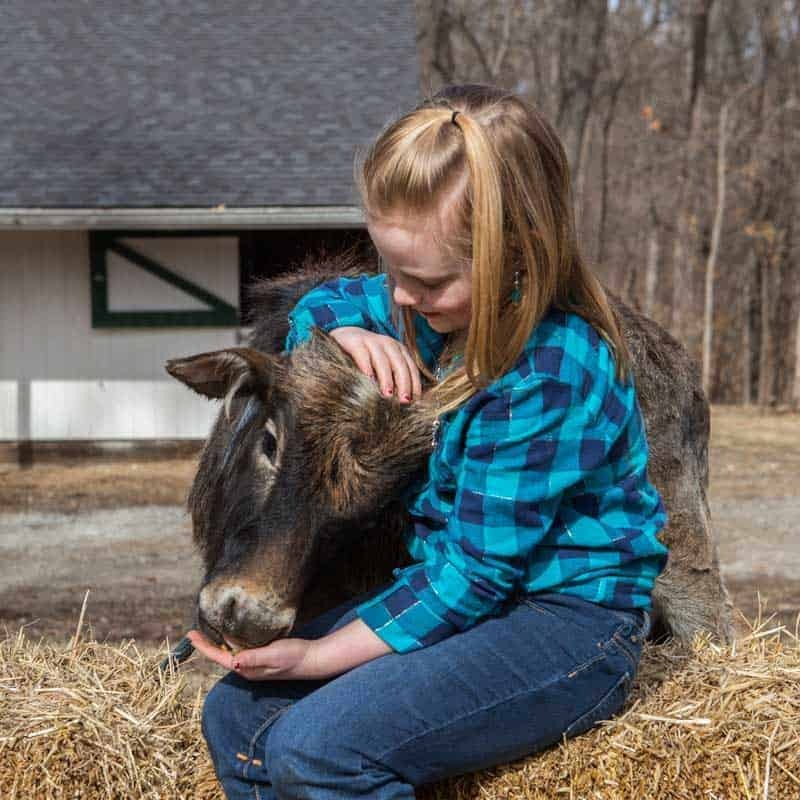 Whether you call us a petting farm, petting zoo, or menagerie, one things is for certain: these friendly, fuzzy farm Critters are a success every time! Smiles abound as the petting commences, and the excitement is palpable. 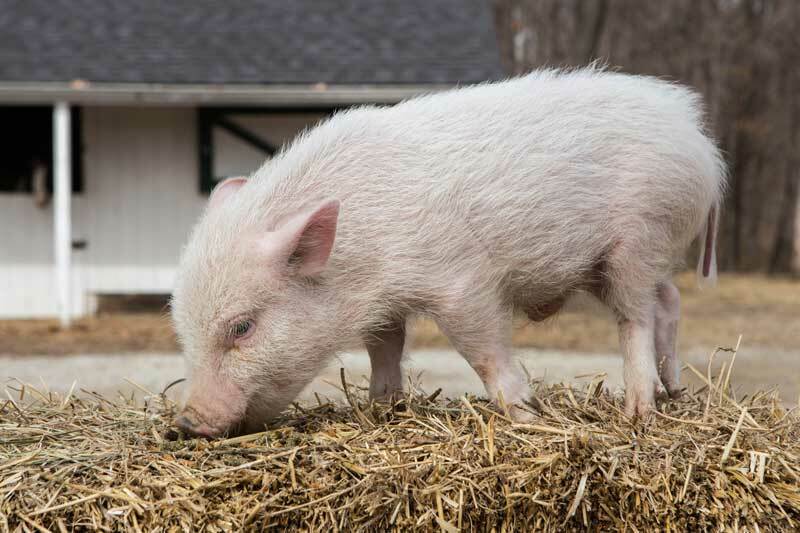 Ask us about options to feed the adorable animals in the petting zoo! Contact us with Questions Reserve Your Date! Can’t decide between the PETTING ZOO and PONY RIDES? That’s okay, you can combine the two! The only exception is the MINI petting zoo which cannot be combined with pony rides. The small Petting Zoo is our most popular option. 5 species are included, but you’ll probably see more than 5 animals. The best part is that you get to pick which animals we bring! You can let the birthday boy/girl pick her favorite animals, and we bring them to you! 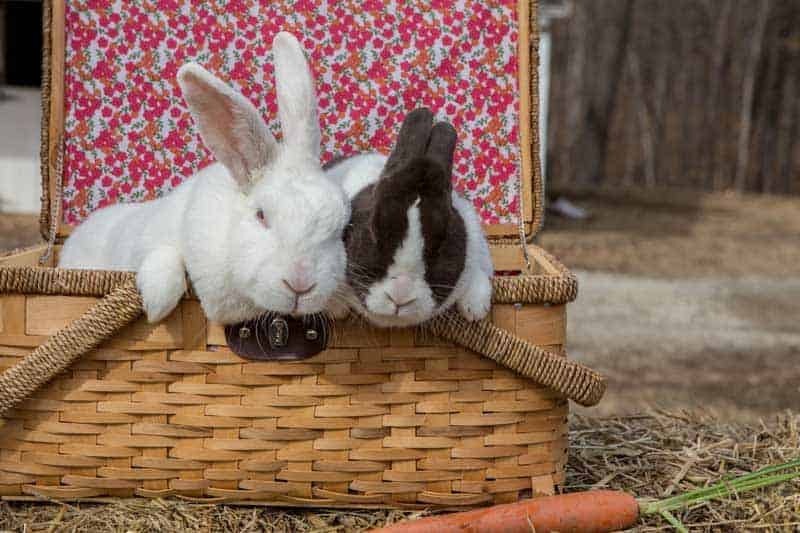 If you want more than 5 animals, take a look at the Medium and Large Petting Zoo options. We have Mini Horses, Mini Donkey, Mini Cow, Mini Pig, Goats, Sheep, Rabbits, Chickens, Ducks, Turtles, Snake, Geckos and an adorable (huge) fluffy white dog who LOVES children. If you are on a tight budget put still want to cuddle some critters, the MINI petting zoo is a great option. The Mini Petting Zoo includes 3 animals from our smaller critter selection. 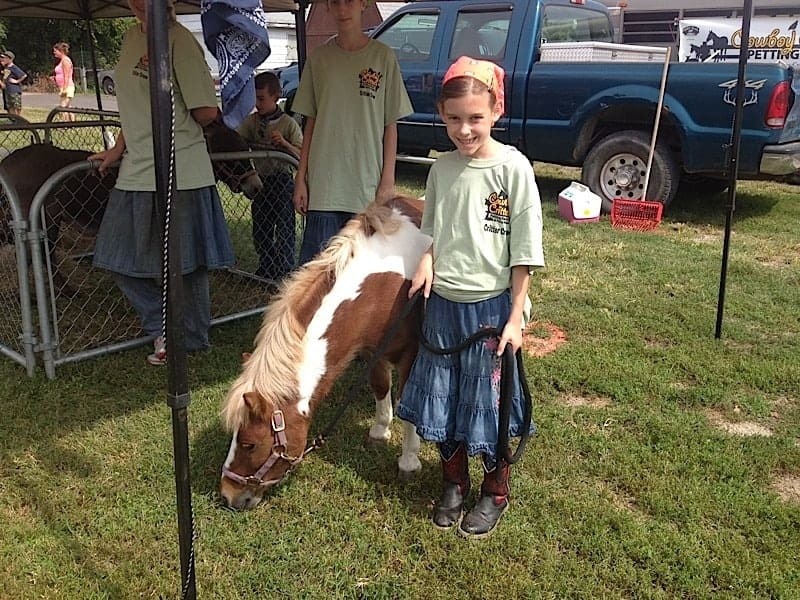 The Mini Petting Zoo is perfect for smaller children, indoor events, or winter birthday parties. We travel FREE in the St. Louis area, and within 60 miles of our location. 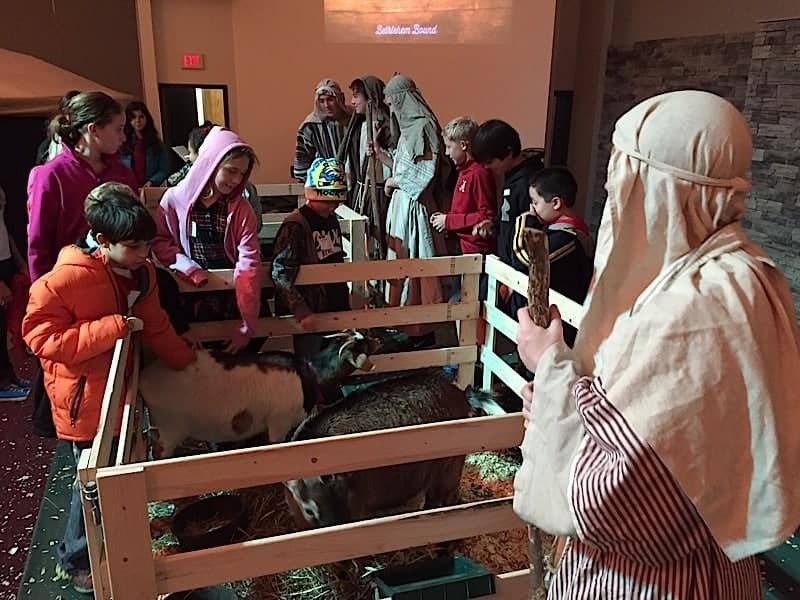 The Live Nativity is a fantastic way for children to learn about the birth of Jesus! This option is very popular for Christmas Eve services or Christmas events. Shepherds with their Mini Donkey, Sheep, Goats and Mini Cow are included, but if you need more animals for Journey to Bethlehem events, we can work something out for you. We can set up in a variety of situations. We have brought animals for Journey to Bethlehem interactive drama, breakfast with Mary and Joseph, and A Night in Bethlehem. We can work with your program and are happy to jump in and help out! We do have the ability to set up the small nativity indoors for cold weather or rain. To learn more about the indoor nativity, click HERE. We travel FREE in the St. Louis area, and within 60 miles of our location. If you combine the Petting Zoo and the pony rides you can save! Rather than booking separately, you can combine to two for double the fun. We have lots of different options from birthday party packages all the way to corporate event packages and community festivals. You still get to pick which animals you want us to bring, travel is still FREE in St. Louis, and you get to interact with MORE animals! Children of all ages — yes, even the adults get in on the action — enjoy the interactive hands-on experience that’s unique to our mobile Petting Farm. In short, PETTING and FUN are encouraged… “keep your hands on the animals at all times”!